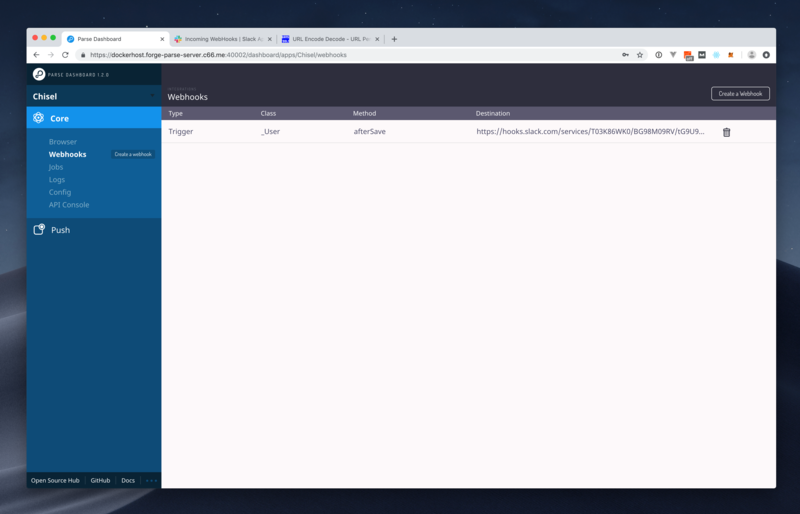 By default, you have one default outgoing Webhook trigger available for your Chisel environment, which we encountered in the Site Settings Overview. This webhook will be fired whenever your content entry is initially published, or when it's publishing after being edited. 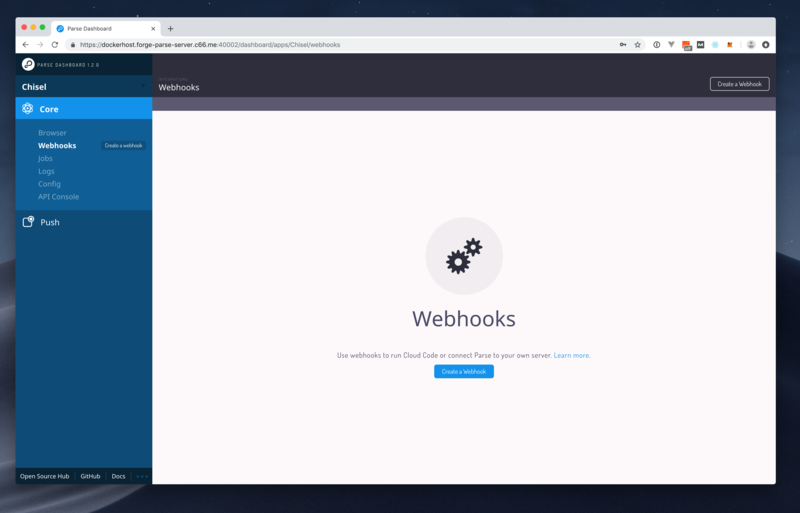 In addition to the standard webhook, we also have access to a number of available webhook triggers - and a helpful administrative UI for adding these in the Parse Dashboard interface. Open up your Parse Dashboard and locate the Webhooks menu item in the left navigation. 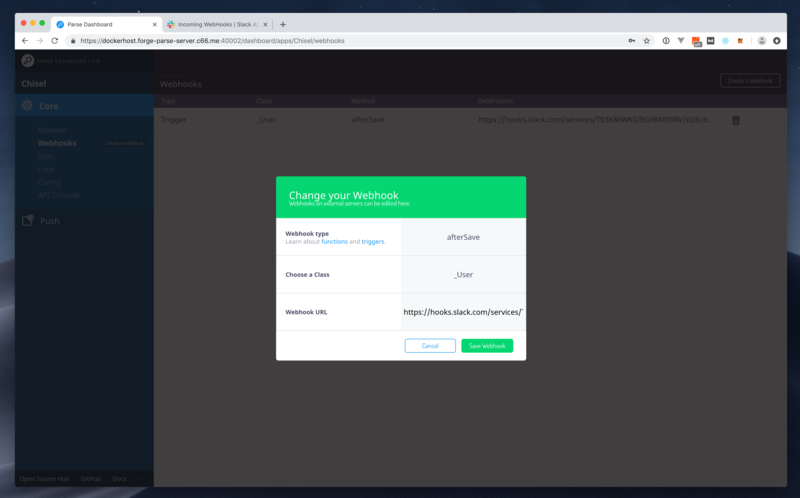 You can now complete your Webhook create form with the details of your webhook. This declares the event that will fire the Webhook. We can choose a Cloud Code Function or use one of the available triggers. The triggers are pretty self explanatory. If you chose a trigger, then you will need to provide the name of a Class (or specifically, your Models) that you want to be responsible for firing the Webhook. This is the endpoint that you will send the hook to as a destination. Parse-Server doesn't provide a seperate payload body, so you'd most like need to URI encode and add your payload as a request parameter. Once you have saved your Webhook, you'll see it is made available in the Webhooks list in Parse Dashboard.